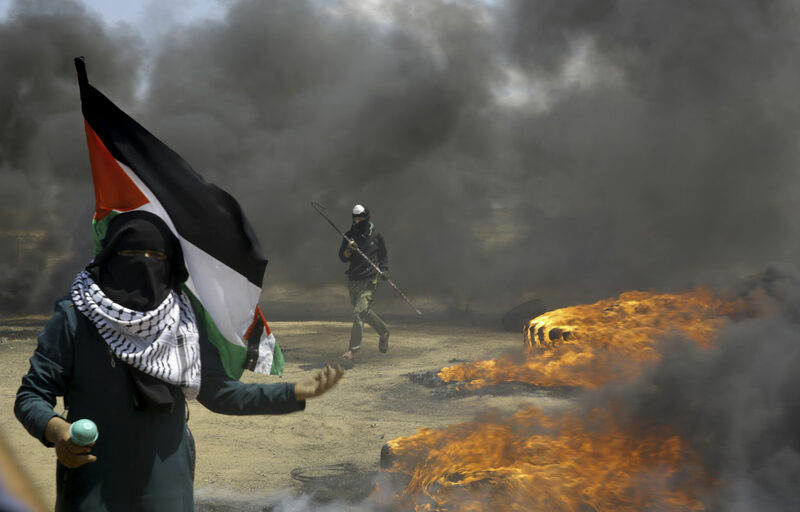 GAZA: Tensions have escalated between activists taking part in rallies and protests, better known as the marches of return, and Israeli soldiers on the border between eastern Gaza Strip and Israel, eyewitnesses and local radio stations reported. The Gaza-based al-Sha’b Radio station reported that several explosions were heard in the area after activists threw several sound and percussion bombs on the border, adding that Israeli soldiers fired tear gas and gunshots at them; no injuries were reported. The sources added that the activists decided to use the tools and means they used to carry out before reaching the calm understandings, brokered by Egypt, between Hamas and Israel last November. The sources added that the decision to escalate the marches’a activities came after the Israeli occupation didn’t show any commitments to implementing the understandings of calm and cease-fire that were reached in November.